Chris is originally from Sussex, but now lives in Bristol, with his wife Catherine, where he works as a software developer. 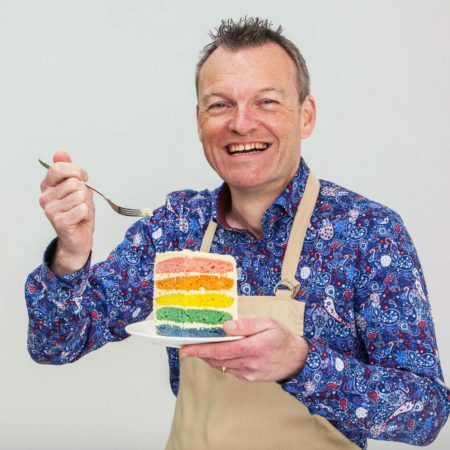 Chris admits he is obsessed with the science behind baking and is constantly developing healthy but unusual flavour combinations. As a cancer survivor, he is passionate about helping and inspiring other patients touched by the disease. His other hobbies include sailing, travelling, writing and visiting bakeries. Tropi-cool. That’s how Chris rolls, and his Signature Fruity Cake shows off his style to the max.